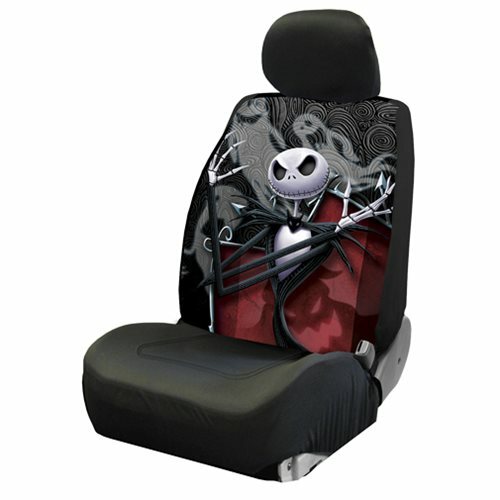 Show how much you love The Nightmare Before Christmas with this Nightmare Before Christmas Ghostly Low Back Seat Cover. This seat cover from Plasticolor is an exciting and stylish accessory for your car. It will fit over most low-back bucket seats, making it compatible with a wide variety of vehicles. Constructed from polyester with a urethane foam backing, it feels as great as it looks! Use the elastic straps and hooks for easy and secure installation. Ages 14 and up.